The phrase “wild winter weather” used to conjure up images of sugar plums dancing in a blinding blizzard, amid a sea of power outages. Not so this year, as unusually warm trends illuminated weather maps around the globe with glowing streaks of red and orange. This year, Christmas and the following days were not only much warmer than usual but much wetter, with heavy rains causing dangerous floods all over the world. Although the flooding wasn’t quite apocalyptic in scale, it’s a clear sign that El Niño is here and doing just what weather experts warned: wreaking havoc all over the world. Winter has just begun, and already the seasonal weather trends have got us worrying about the new ‘permanent reality’ caused by climate change. Rising global temperatures are impacting weather patterns in ways climate scientists have warned for years, leaving government officials struggling to respond as emergency personnel are stretched thin and protective infrastructure fails. In past years, Christmas Day weather has garnered a lot of attention – mostly from bringing unseasonably warm weather to some areas while freezing out others – but this year marks a shift, with environmental disasters occurring around the globe at the same time. Across the South, Southwest, and Midwest, the holiday weekend brought warm temperatures and a rash of tornadoes and flooding that resulted in at least 43 deaths. Two states – Missouri and New Mexico – have declared a state of emergency in the aftermath of flash floods and the threat of more bad weather to come. In Missouri and Illinois, 13 were killed in flash floods, caused by unseasonably heavy rains. Missouri Governor Jay Nixon said on Sunday that emergency workers have evacuated residents from their homes and conducted dozens of water rescues in his state. In addition, at least eight people had been killed and numerous roadways closed as a result of the storms. In Texas, tornadoes killed nearly 20 people in multiple cities, as winds gusted up to 200 miles per hour and blew vehicles off highways. Storms of this type are common in the spring and summer, but very rare in the winter, according to U.S. weather data. Yet, the weather service has issued tornado watches and warnings for areas of Arkansas, Texas, Louisiana, Oklahoma, and Mississippi, as the threat of additional storms persists into the week. Meanwhile in the United Kingdom, unprecedented heavy rains have caused flooding in several cities. 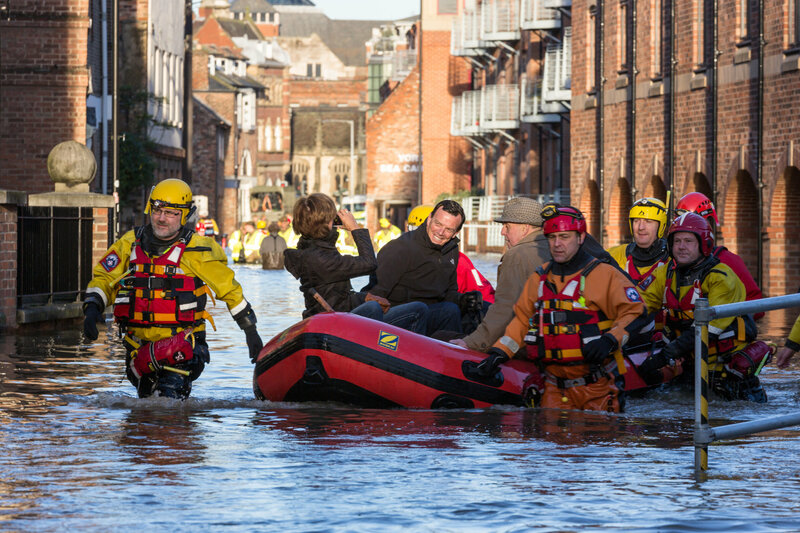 Thousands have been evacuated from their homes in York, Leeds, and Manchester as well as outlying towns, and emergency rescue crews are using inflatable boats to reach people who have been trapped in their homes by the rising waters. Officials report that 500 military troops are at work in the worst-hit communities, with another 1,000 personnel on stand by. Although the storms have subsided a bit, more heavy rains are expected for later in the week, posing a double-whammy threat to a region already soaked beyond capacity. 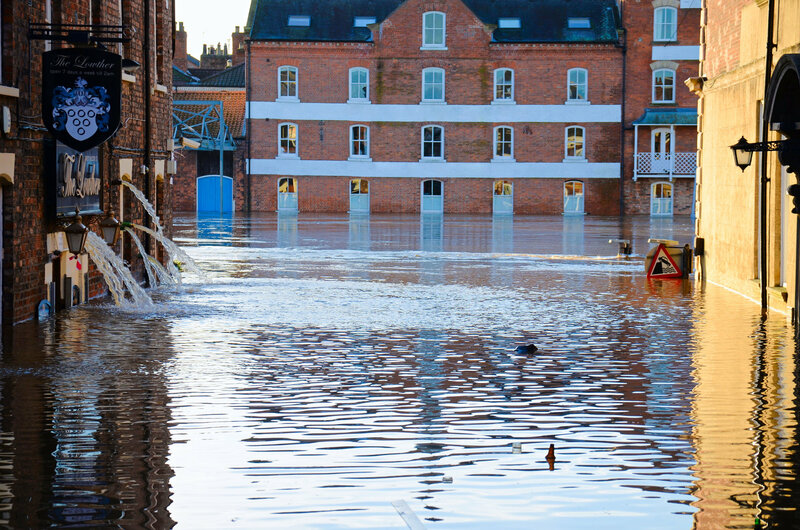 In York, a sophisticated pumping system was supposed to prevent such drastic flooding in the event of heavy rain, but that system quickly became overwhelmed and failed. Officials decided to raise the river Foss flood barrier in order to prevent it from becoming stuck, which effectively sacrificed some areas to save others. The effects of the weekend flooding are immense. In Manchester, some 7,000 homes and businesses are without power. In Leeds, nearly 3,500 homes were threatened by the floodwaters and the extent of the damage is still being surveyed. Currently, more than 200 flood alerts and warnings are in place for England, Wales, and Scotland including over 20 severe warnings. Nearly every river is flowing high, and officials are reviewing flood defenses in a fresh perspective. The Southern hemisphere isn’t immune to bizarro Christmas weather. 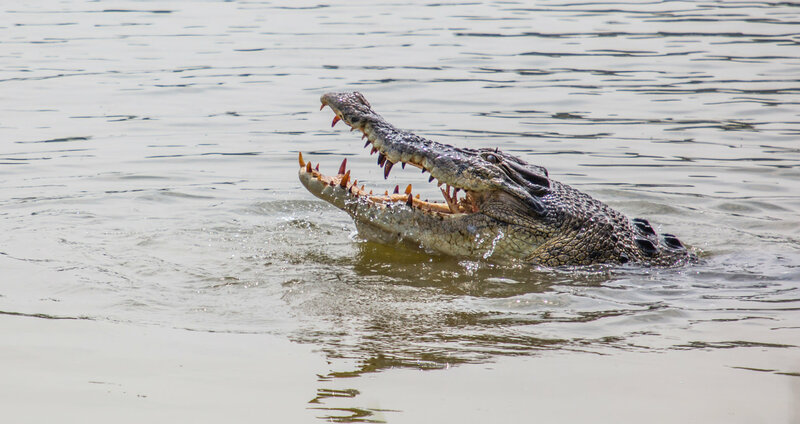 Similar to the Northern disasters, Australia’s Northern Territory experienced severe flooding over the weekend, bringing saltwater crocodiles right into town square. Emergency services report that the flooding of the Daly River has led to at least one death, after a woman became trapped in her car in the rising waters. Hundreds of residents were evacuated, mostly by helicopter, and airlifted to the nearby city of Darwin in order to escape the floodwaters that consumed their homes. The floodwaters also made it possible for saltwater crocs to make their way into town. local residents report spotting multiple saltwater crocs in the area, including one on the football field. Officials say the floodwaters reached a height of almost 15 meters (49 feet) and had begun to recede, but a second wave of flooding is “not improbable,” according to Bruce Porter, the territory’s police, fire and emergency commander. He urged remaining residents to consider evacuating before the waters begin to rise again, which could happen in the next few days. At least one strong thunderstorm is threatening to make landfall in Queensland this week, and the weather service is eyeing a possible cyclone in the gulf, too. Extreme weather caused flooding in various parts of the world this holiday weekend. 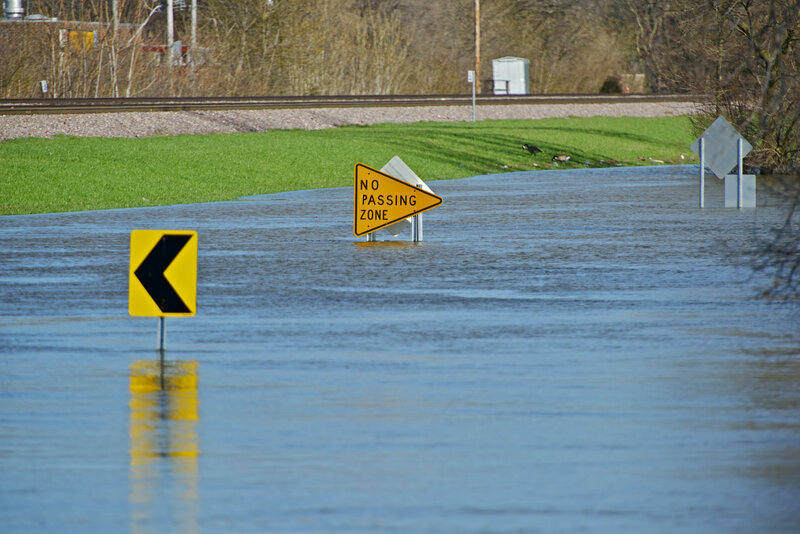 Flooding and tornadoes are common in the U.S. Midwest and South in the spring and summer. 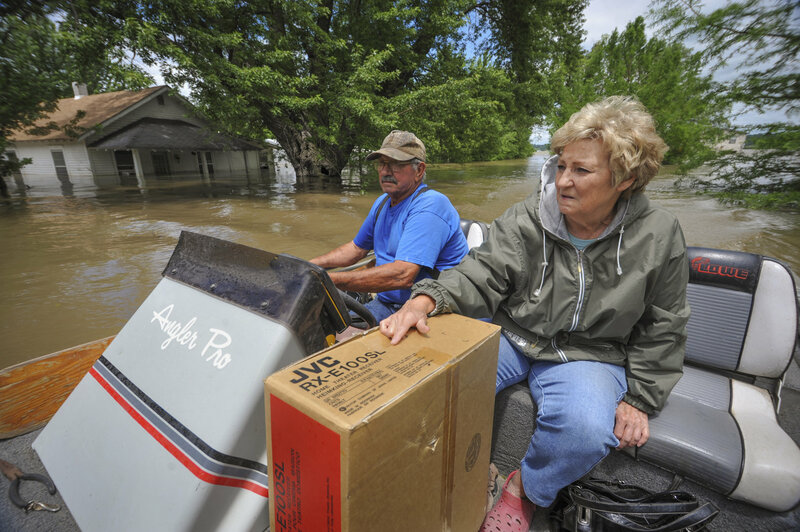 These residents are fleeing from a flood in Missouri this summer. 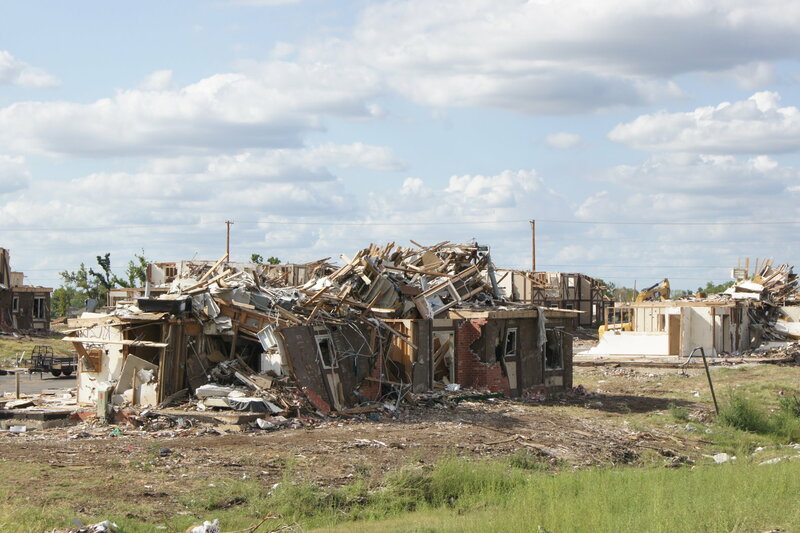 This home was destroyed by a previous tornado near Joplin, Missouri. The flood defense system in Leeds failed this weekend, leading officials to intentionally flood some areas to save others. Rescue workers used inflatable rafts to reach residents stranded by the flooding in Leeds, UK. Floods brought saltwater crocodiles like this one into the streets of Australian towns in the Northern Territory.